My song today is from Dave Matthews Band's "Live In Chicago" CD set. They do an insanely wonderfuly version of 'The Last Stop'. You can feel the emotion in Dave's voice as he's belting out the lyrics. This song is not typical DMB fare as the song stands out with it's Eastern musical influences. This version also features Béla Fleck on the banjo and Tim Reynolds on electric guitar. In the "Before These Crowded Streets" album, there is a reprise to the song hidden as an Easter Egg at the end of the album, right after "Spoon." The outro is a stark contrast to the song, with a peaceful melody and simple, calming lyrics. When played live, "The Last Stop" always segues into the outro, which is performed with the whole band as opposed to the guitar-only version on the album. This song is about inhumanity, particularly in the context of war. The song contradicts the belief that war is necessary to eventually reach peace, as displayed in the lyrics "War, the only way to peace, well I don't fall for that." I particularly love the closing of this song, The way the whole song goes from a such a dark and intense piece to a nice, calming and good feeling ending is incredible. What an amazing transition. Oh, and at 7:56, that's my favorite part of the whole song. I feel like it's that moment when Dave realizes the wonder of it all. It's such a beautiful moment. 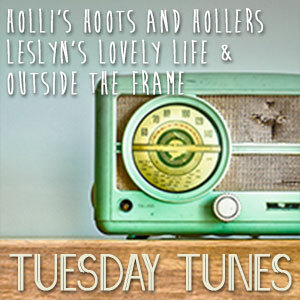 I'm linked up with Tuesday's Tunes at Leslyn's Lovely Life! Pick a song and come link up with us!